I know Christmas isn’t about the presents… but it just so happens I was given some lovely gifts this year that I’m very excited to try out. My favourite is my new Karl Largerfield “Choupette” wallet. 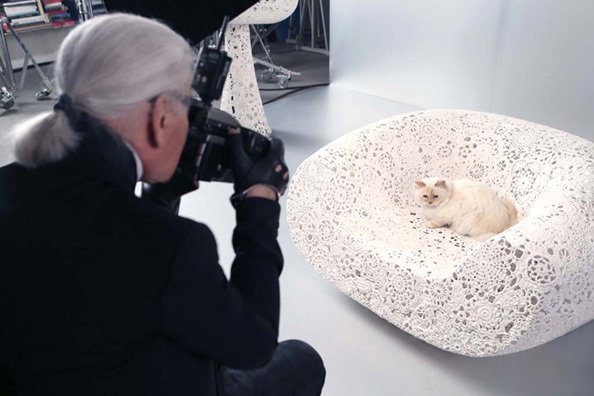 I’m a crazy cat lady through and through so I’ve had my eye on Choupette and her special range for some time now. Those who aren’t familiar with the name will be shocked to find that Choupette is a gorgeous fluffy cat who’s taken the fashion world by storm, and Karl being… well, Karl, he’s made not only an accessories range in homage to her feline friend, but also a collaboration with Shu Uemera. Naturally, I want it all, especially the cat.